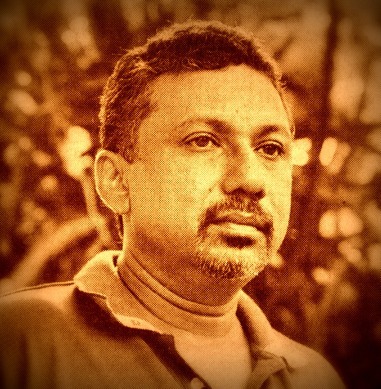 Palitha Lakshman de Silva (1959 – 2010): Animator, stilled. For the second time in just over three months, I went to the Colombo general cemetery to bid farewell to a fellow traveller. This is becoming a worrying habit. Those of us who’ve opted for the path less travelled don’t expect crowds or accolades. At least we have each other for company and inspiration. Suddenly it’s getting a bit lonely: long-standing friends and colleagues are dropping dead in the prime of their lives. First, it was environmentalist, journalist and public intellectual Piyal Parakrama who left in early March. Now, it’s Palitha Lakshman de Silva — journalist, photographer, cartoonist, puppet animator and television professional among other pursuits and talents. Both men had just passed 50, and were leading active, productive and busy lives. They had no known ailments, and were in apparent good health. Yet in the end, it was the unseen, gradual clogging of the heart’s arteries that struck them both down: the first heart attack was swift and fatal. Neither man reached the nearest hospital alive. I had known Palitha for twice as long as I worked with him (in the past decade). Although we weren’t close friends, we shared a passionate, life-long interest in using broadcast television and narrowcast video to communicate public interest messages. Some call it non-formal education, but we avoided the e-word for it reminds some people of school that they didn’t enjoy. We believed – and demonstrated too – that the audio-visual medium can blend information with entertainment in ways that make learning effortless and painless. 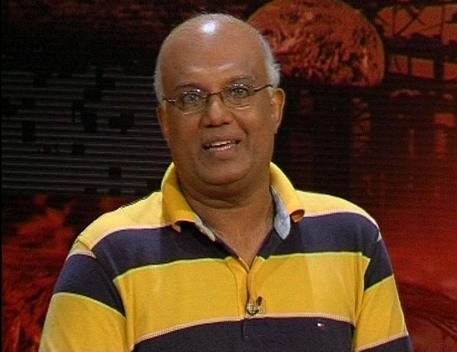 Having started his career as a reporter and photojournalist at a leading newspaper, Palitha later moved on to TV, where he blazed new trails in cartoon animation, puppetry and documentary making. He was part of Sri Lanka’s first generation of television and video professionals who experimented with the medium, and found new ways of combining education, information and entertainment. I’ll write more reflectively once I recover from the shock of another colleague signing off for good. For now, I can only echo the lyrical sentiments in this leaflet distributed at Palitha’s funeral by his artistically-inclined friends. The English approximation (below) is mine, and not particularly good (though bilingual, I’m a lousy translator). I’m glad, however, that the original verse captures one intrinsic quality of Palitha: his gentle, soft-spoken nature which often concealed the creative genius inside him. With a soft, little whisper. That you told us so gently. Piyal Parakrama died so suddenly and unexpectedly on the night of March 3 that it’s hard to believe that he is no longer among us. Another public-spirited individual has left the public space all too soon. Piyal combined the roles of environmentalist, educator, researcher and media personality. He was also a colleague who became a friend, and a fellow traveller for many years. 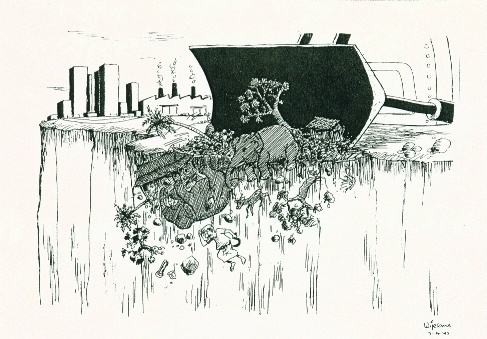 In a public career spanning 30 years, he wore multiple hats, among them: Executive Director of the Centre for Environmental and Nature Studies, founder President of the Nature Conservation Group (NatCog), President of the Green Party of Sri Lanka, and consultant to various state and academic institutions. 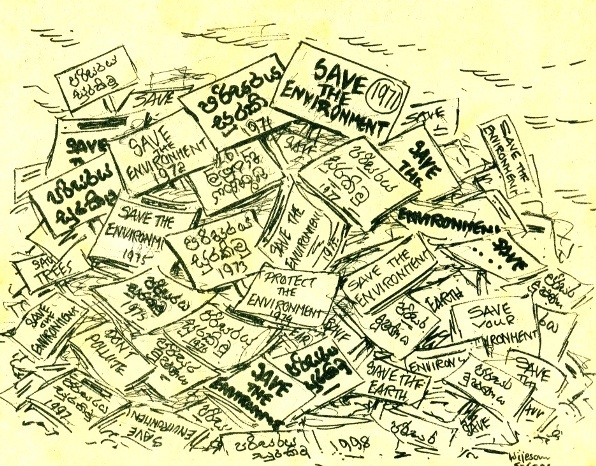 He also worked for the now-defunct Sri Lanka Environmental Congress (SLEC) and now dormant Sri Lanka Environmental Television Project (SLETP). But Piyal Parakrama was more than an amalgamation of these parts: he was his own distinctive brand — admired, trusted or feared by different sections of society. Even his ardent detractors (and he had a few) would readily agree that he gave far more to the public good than he took back personally. Piyal’s forte was biodiversity. His interest and knowledge were nurtured first at the Young Zoologists Association (YZA) – where he remained a volunteer for 30 years – and later at the Lumumba Friendship University in Russia, where he studied biology from 1983 to 1986. In searching for viable solutions for entrenched conservation problems, Piyal collaborated with scientists, educators, journalists, school children and local activists. Some industrialists and investors simply hated his guts, while concerned researchers and government officials sometimes gave him sensitive information which he could make public in ways they couldn’t. Given our common interests in development issues and the media, Piyal and I moved in partly overlapping circles. Our paths crossed frequently, and we shared public platforms, newspaper space and broadcast airtime. We even worked together for a few months in the late 1990s at the SLETP. 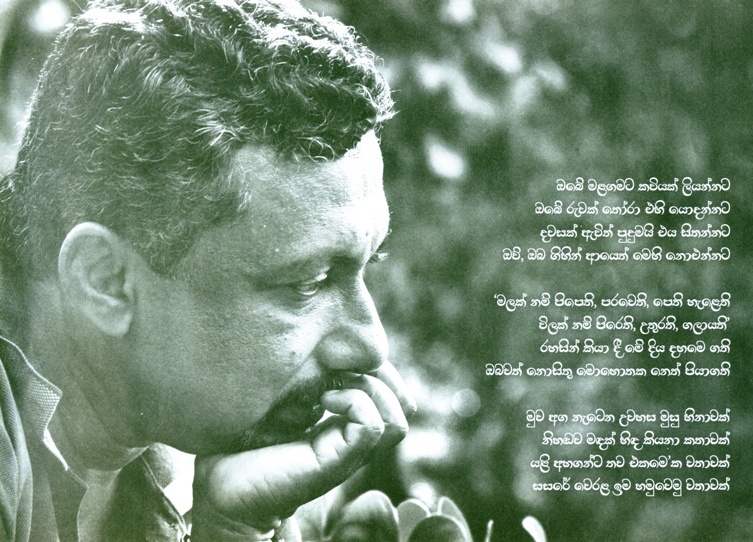 His communications skills were invaluable in rendering a number of international environmental films into Sinhala. The last time we collaborated was in such a media venture. 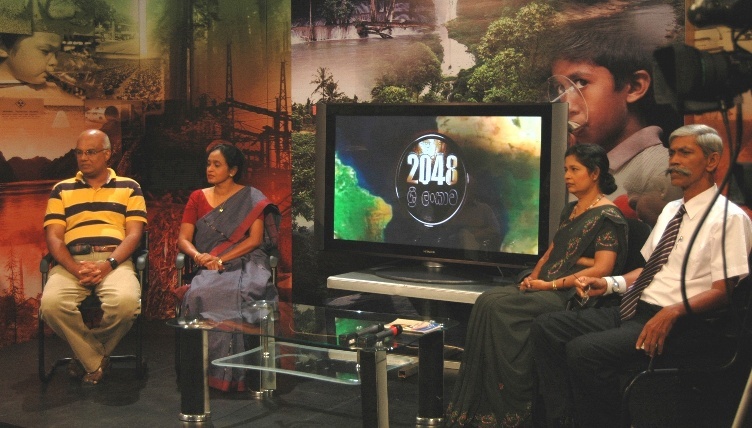 In mid 2008, Piyal joined an hour-long TV debate we produced as part of the Sri Lanka 2048 series. The show discussed the various choices and trade-offs that had to be made today to create a more sustainable Sri Lanka over the next 40 years. Taking such a long term view is rare in our professional and media spheres preoccupied with the challenges of now and here (or restricted in vision by short-termism). Piyal could speak authoritatively on several topics we covered in the 10-part series, but I invited him to the one on managing freshwater, one of Sri Lanka’s once abundant but now threatened natural resources. With his deep knowledge and understanding of traditional water and soil conservation systems, he was truly in his element in that debate. He was also the ‘star’ among the diverse panel and studio audience we had carefully assembled.